Tonight was a bit of a homecoming for me. I’ve traveled 5 hours up to Birmingham, Alabama for Refuge ’08… a retreat, rest and renewal for student pastors. I come to Bham pretty often to see Brooke’s family, but somehow traveling alone brought back alot of memories and a good feeling as I drove in this afternoon. I guess all in all I spent about 10 years of life, college, seminary and ministry here in Bham. I knew it was going to be a great evening when Ponzee (one of my former students and interns) wanted to grab some Dreamland for dinner. I opened the door to a smell that was almost heavenly. Full slab of ribs, white bread and sweet tea. Pretty sure all 3 of those will be in heaven. But while here on earth and especially in Bham, Dreamland is a must visit. What a great start to my trip. Headed over to Brook Hills for Refuge after dinner. And by heading over I mean 280. That won’t mean anything to you unless you know Bham. I don’t miss 280. Bumper to bumper and they keep building new stores along the way… as if 280 needs more people driving on it. Awesome to be back a Brook Hills. I spend a good many Saturday nights there for Saturday worship while living in Birmingham. It was always great to go to a church and be able to worship in a place where I wasn’t on staff and didn’t have responsibilities or keys to the building. 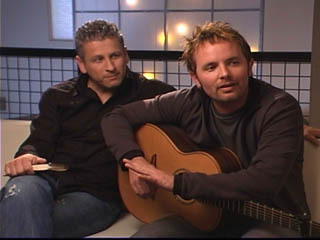 Refuge started out with Chris Tomlin leading in worship. The sound that followed was incredible. Over 1000 student pastors lifting up praise to a holy God. I hadn’t become that emotional in worship since being in Nicaragua earlier this summer. It was such a blessing to sing with people of like mind for the Kingdom and a passion for the worship of God Almighty. Tomlin introduced “Jesus Messiah” from his new CD. Powerful song. I thank God for giving me this opportunity for rest and renewal. I wish it was longer, but I’m waiting in anxious anticipation to hear what He has for me and to spend some time seeking refuge in Him!